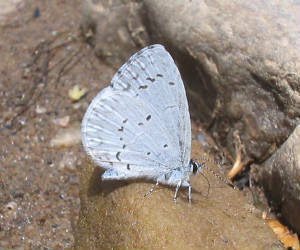 Celastrina ladon (Spring Azure) and Celastrina neglecta (Summer Azure). 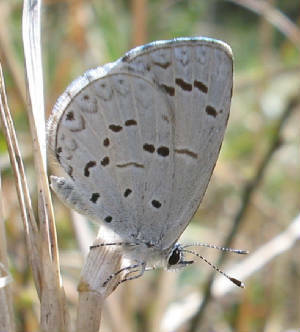 Spring Azures are more heavily marked with black on the undersides of the wings and are a little smaller than Summer Azures. 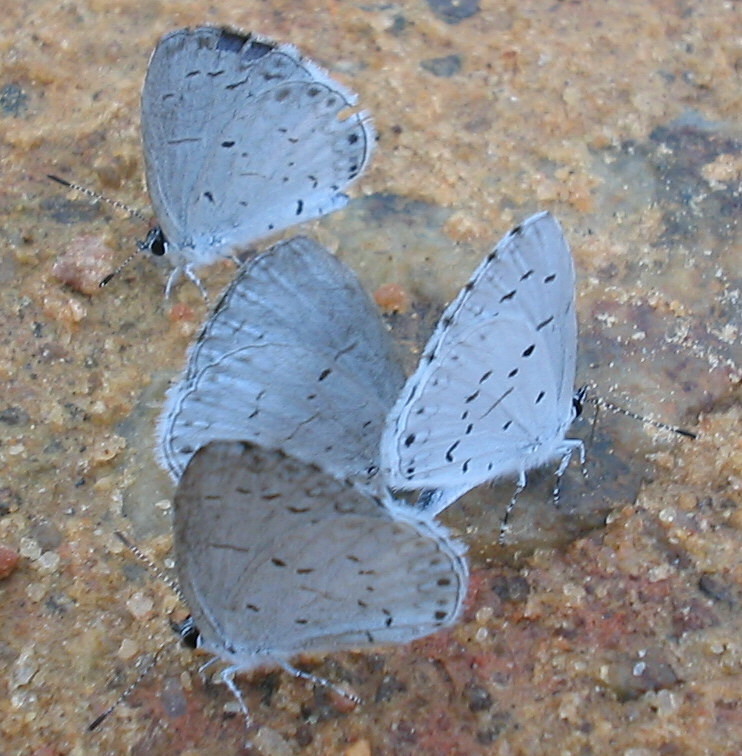 They are common from late February until late March/early April. 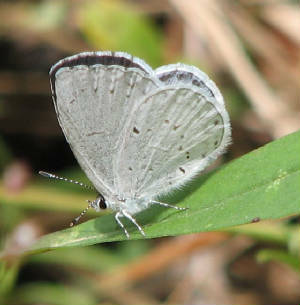 I found a male flying as early as January 28, 2006 in Upson and found another in Upson on February 11, 2008. 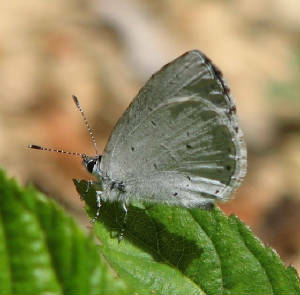 The first large brood of Summer Azures emerges in late April and later broods fly until September. 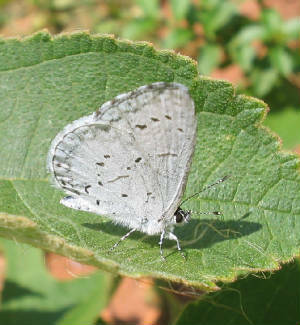 Recently, I have seen a few Summers on the wing during the flight of the Spring Azure and have found an individual resembling a Spring Azure on April 27th. I'm just can't convince myself that these represent separate species, they seem more like seasonal forms. 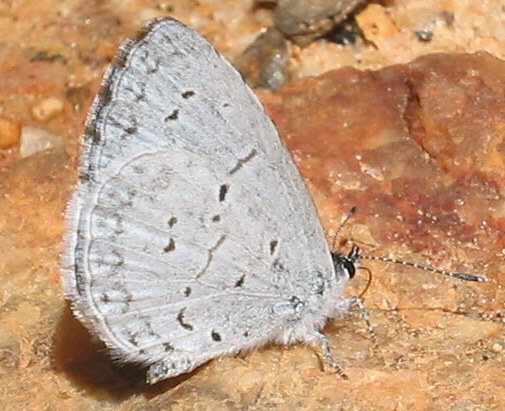 Wingspan: (Summer Azure) 1 1/16 to 1 1/4 in.